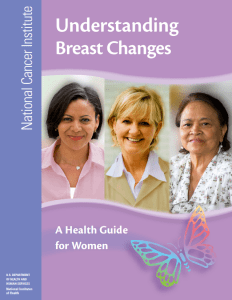 This booklet provides information on breast changes, tests used to find changes, understanding test results, and follow-up tests. Charts of breast conditions and follow-up care are provided. Resources for more information and a dictionary of cancer terms are included.